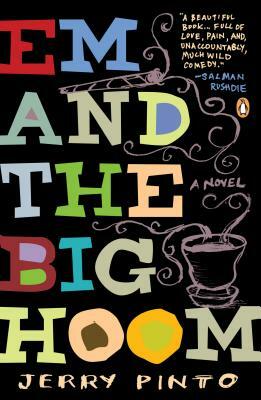 Em and The Big Hoom is the story of the Mendes family living in Bombay India. Em is Imelda. The Big Hoom is Augustine. When they fall in love, he’s handsome, reliable and tender. She’s witty, charismatic and eccentric. But after their two children are born, it becomes clear that Em is also bipolar. The life of the family revolves around her, her highs, her lows, her suicide attempts and her recoveries. Told through the eyes of her teenaged son, Em and the Big Hoom is a rare story of love, pain and laughter. Jerry Pinto weaves a beautiful tale of a family trying to be family despite the odds. Jerry Pinto is a writer of poetry, prose, and children’s fiction, as well as a journalist. Em and the Big Hoom is his first novel. He is the winner of numerous literary awards, including a 2016 Winham-Campbell Prize for Fiction, the 2013 Crossword Book Award, and the Hindu Literary Award. He lives in Mumbai, India.